Easybook.com is proud to have launched Rungkit Tour. 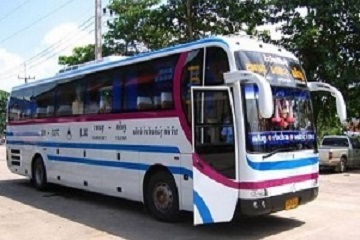 "The Rungkit bus leaves Ranong 7 times per day to Phuket. Coming by boat from Koh Chang or Koh Phayam, you will catch the bus at 12.30 h, so that you reach Khao Lak by 16.15 h in the afternoon. After the visa run you will catch the bus at 14.30 h.
The Rungkit bus does NOT depart from the bus terminal, but from the ticket office near the tourist information." 96/30, Bang Rin, Mueang Ranong District, Ranong 85000, Thailand.